ADB (Android Debug Bridge) is a small debug tool that you found in Android Software Development Kit (SDK). ADB is a command line tool that’s communicate your Android device with a computer. With ADB, you can control your device from the computer via USB, transfer files and run powerful shell commands. You can use ADB to send terminal commands to an Android device to Make system level changes. Like ADB fastboot is also a part of SDK. Fastboot is a tool that can help you to reflash partition and image files on your device. In fastboot, system you can modify the file system images from a computer over a USB connection. Like recovery, you can also install updates and zip files from fastboot. Firstly, download ADB Installer setup file by XDA member @Snoop05. It not only installs ADB it also installs fastboot and USB drivers within 15 seconds. Now run the Exe file adb-setup-1.3.exe. Now you see the on-screen command window, follow the instruction. Type ‘Y’ to install the ADB and fastboot driver. It will install the ADB and fastboot drivers on your PC and copied the required files to a particular location. Now type ‘Y’ again to install your device driver. It will take few seconds to install device drivers and after that, your command window will close automatically. Congrats you successfully install ADB and fastboot on Windows PC. 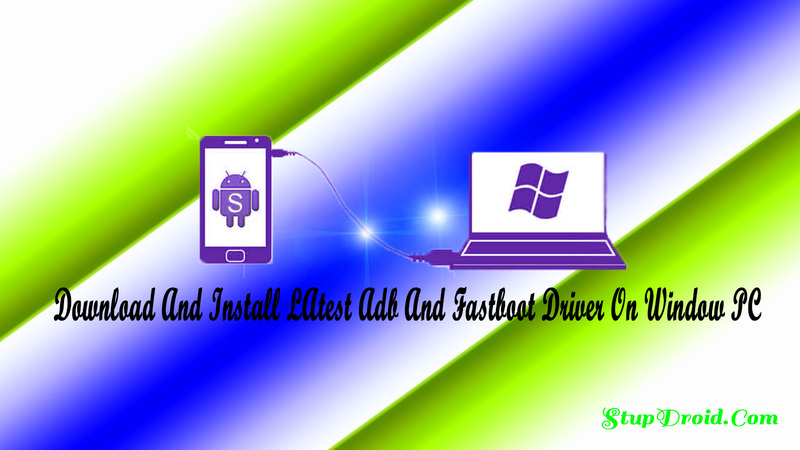 So This is a Complete Guide to Download and Install adb and fastboot Driver on Window. if you have any question Let Me know via Comment.